Industrial water tanks, or any large tanks for that matter, represent a huge investment – hundreds of thousands, even millions, of dollars. For that reason, much is said about the maintenance of these tanks. However, it may be more helpful to think in terms of the preservation of these assets. Maintenance programs are simply one aspect of long term preservation. Many times water tanks are depreciated over 40 or 60 years. 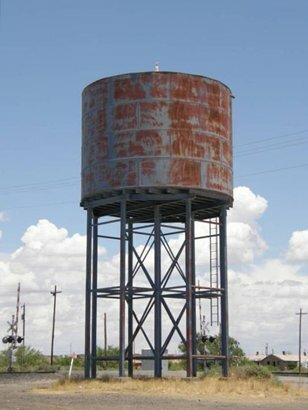 However, there are many examples of water tanks that have remained in service for over a hundred years. There is no reason to settle for less than 70 years service, with proper preservation. Of course, that assumes the tanks were properly constructed and well built in the first place. Assuming that you already have a tank in place, there are still several ways in which you can prolong the life of the tank you have. You begin with regular, periodic inspections of the tank. These should be done annually, and any conditions or concerns noted. These should be addressed sooner, rather than later. The annual inspection is merely a starting point, though, not the completed maintenance process. In addition to the annual inspections, you should also clean the tanks thoroughly on a regular basis, removing sedimentation and debris that has accumulated. One authority recommends that this be done every three years. This can often be done without draining the tank, utilizing special techniques. The goal of the inspections is to preserve the asset. That means that any issues noted need to be corrected. Left unchecked, they will lead to early failure. There will always be an ongoing need to renew the coatings of the tanks, both inside and out. This may be spot painting as needed, or on occasions, a complete relining or coating of the tank. The frequency of these events will depend upon numerous factors including environment, initial coating effectiveness, mineral content and much more. When it is determined that the tank needs repainting, it is critical to utilize an industrial contractor with the proper tank painting expertise and experience. They will know how to proceed and be an invaluable resource. They may be able to recommend the use of different coating materials than were used previously, and which will provide better ongoing preservation than the original materials utilized. During the periodic inspections and maintenance, improvements and enhancements may also be made. These would include potential safety improvements, minor repairs design changes, or upgrading the coatings and/or linings to more effective newer products. Preservation of your assets is not without cost. Having professionals involved, and conducting the needed periodic assessments, will entail some expense. Coating, painting or relining the tanks is expensive, but if done well will last for years. When you consider the expense of replacement due to poor preservation and failure, the price of proper preservation is not so high. When was the last time your tank was inspected, maintained and protected?